A place for my photos amidst this mess. 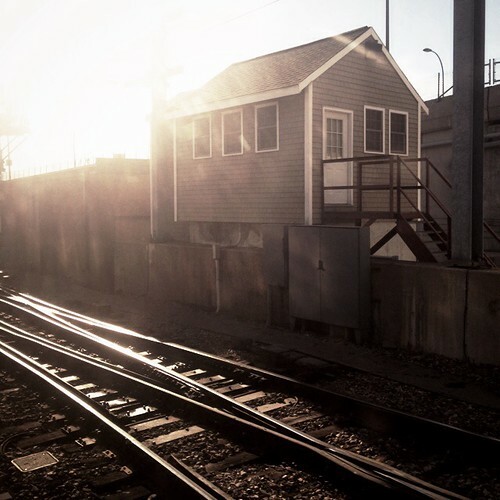 train house, a photo by tinscho on Flickr. Riding a train is like seeing the back stage side of American cities. You find yourself riding through the edges of a metropolis, through the working side, the bad side, the water side. 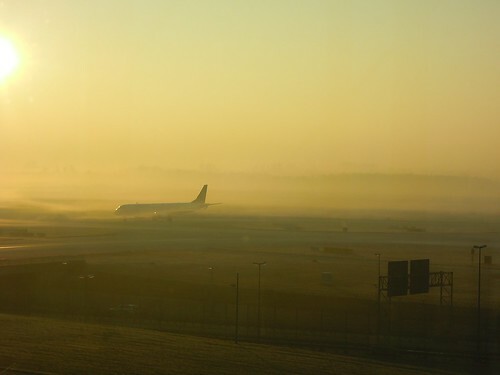 Munich Airport, a photo by tinscho on Flickr. I took this in the morning at Munich. This was my first site of Europe, the first time I had been over the Atlantic. My body had no idea what time it was. I had landed in another world, and the dreamscape was highlighted by the slowly lifting fog. Desert Road, a photo by tinscho on Flickr. I’ve been to the Mohave a few times in my life, and I am beginning to believe that all desert roads look the same. Still, driving through the high desert, classic rock on the radio, wind blowing like a hair dryer in the windows gives a interesting perspective on things. I was an East Coast boy, so the ability to see for miles always gets to me. So vast, so open, so free. 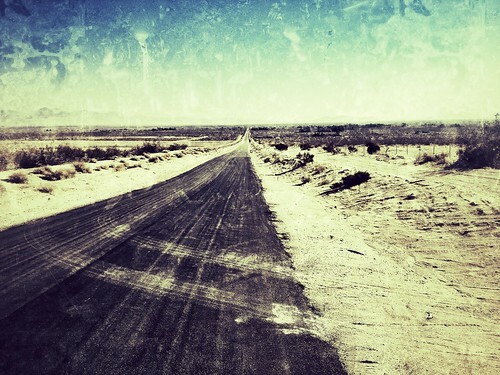 All desert roads look like that.